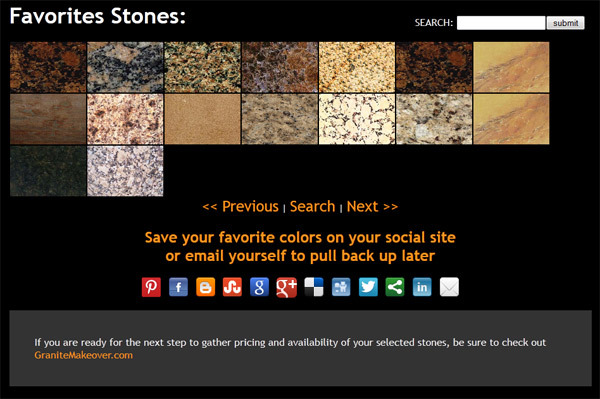 We have added a new granite countertops color search module to our customer website. This module is portable so if you would like to have it on your website be sure to contact us. This search feature is geared toward the consumer providing a huge database of stone colors as well as a "favs" feature for the customer to group a series of colors together as favorites. The user can then share with their social network or can email this to them selves to reference later. This helps you to provide a rich user experience as well as with your FireUps Account You will see more sales opportunities.